Last month I wrote about Cookies for Kids’ Cancer and the excellent work that they do. While doing the research for that post, I discovered they had a cookbook, Cookies for Kids’ Cancer: Best Bake Sale Cookbook . It doesn’t take much to convince me to buy a cookie cookbook, and seeing as this one was for a good cause, it may as well have had my name on it. It is a medium sized cookbook, ring-bound and with lots of appetizing color photos. There are also loads of tips for organizing your own bake sale. I can honestly say I would recommend the book with or without the great cause behind it (and whether or not you ever plan to host a bake sale, which is intimidating I will admit). 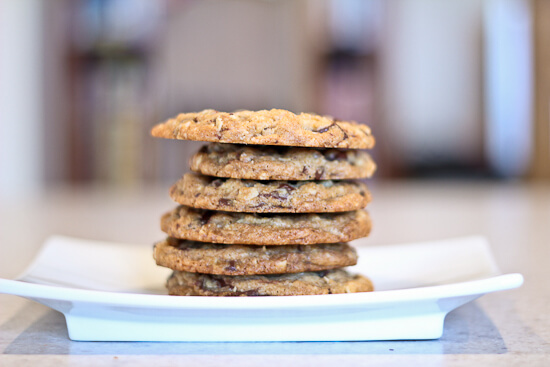 The recipe I chose to start with is the recipe that launched the first bake sale behind Cookies for Kids’ Cancer, the cookie they sold so much of in the original, 96,000 cookie bake sale: Chocolate Chip Oatmeal Cookies. 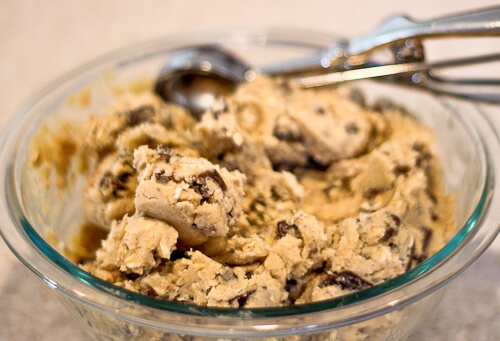 I made the recipe as written, except I let the dough chill first and I used chocolate chunks, not chips. 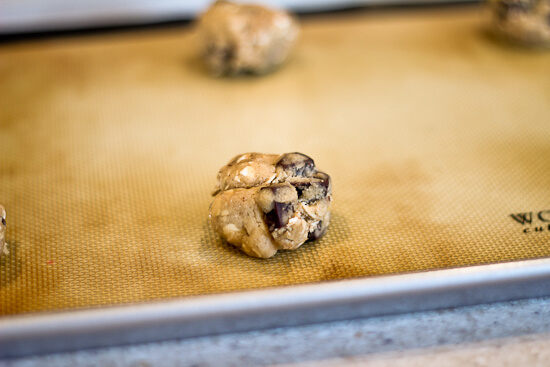 For me, personally, that is the golden rule of drop cookie baking–always let the dough rest. 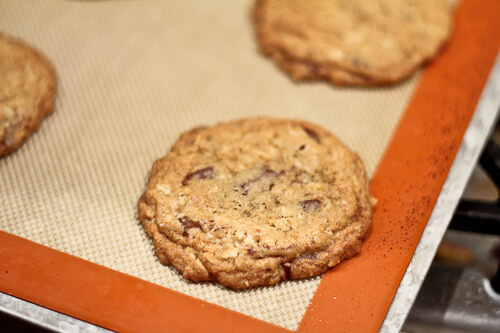 It allows the grains–flour of course but especially the rolled oats in an oat cookie–to better absorb the moisture in the dough, preventing spreading. The way I see it is any cookie is good fresh out of the oven. 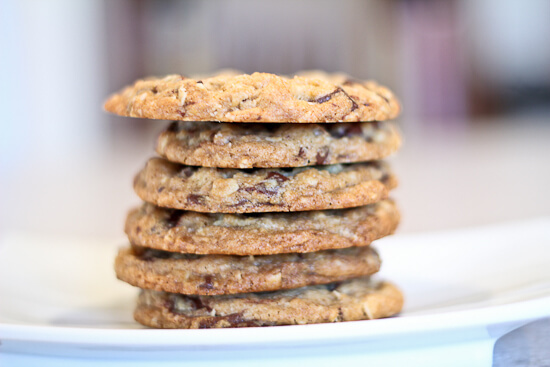 So if you cannot wait, just bake off a few–but the cookies baked from the dough that rests will stay fresh longer, by virtue of being a thicker, chewier cookie. But I digress. These cookies were excellent. 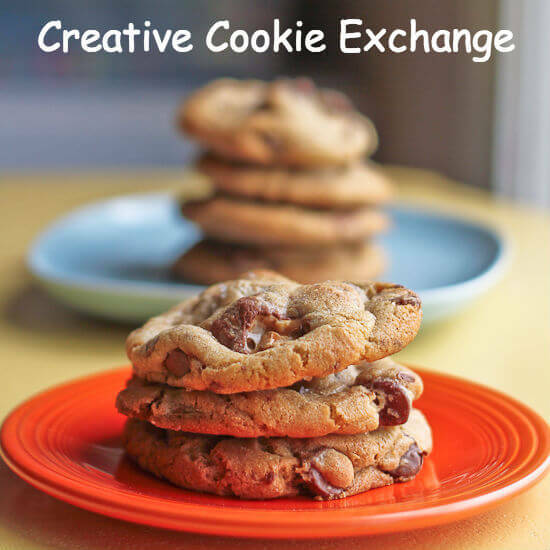 [You can no longer find the recipe at Cookies for Kids’ Cancer as of October 2015.] I hope you will consider buying the book. Amazon affiliate links were used in this post, but only to link to products that I would be linking to and discussing anyway. These cookies look delicious. And what a great cause! I like that you use chunks instead of chips. I do that too. It’s so much more chocolatey! These look delicious! 🙂 And what a lovely cause to support. Great post! What a great looking cookie! And a great cause!! Loved this post! That’s a win-win! A great book for a great cause!